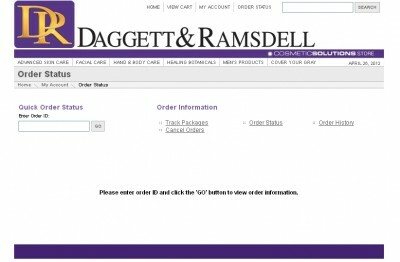 Daggett & Ramsdell is one of the leading manufacturers of skincare products in the world, well-respected for its creams and lotions for facial and body care and healing botanicals. And on this site, you can both learn more about these products and buy as many of them as you want. 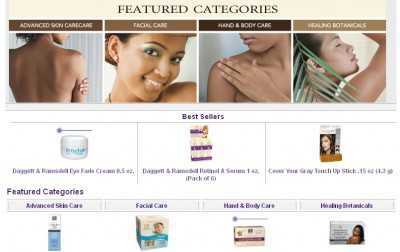 DandRSolutions.com lists all of the company’s trademark creams and lotions, and finding what you want is a simple question of picking the relevant category from the six that are available: “Hand & Body Care“, “Advanced Skin Care“, “Facial Care“, “Cover Your Gray“, “Healing Botanicals” and “Men’s Products“. To make things easier for first-time shoppers, the best-selling items are all listed on the homepage. That is, the items that both customers and reviewers usually rate the highest are featured there, for any person who’s new to the company to get acquainted with its most remarkable products first of all. And since Amazon technology is used at checkout, orders are not only placed securely but they’re also backed by Amazon’s “A-to-Z” guarantee. You’ll get what you’ve paid for, right when you’re supposed to get it. And an order tracker is provided for you to know that everything’s indeed going as expected. And this order tracker also comes with an instant cancellation tool. If for any reason or the other you change your mind after having placed an order, then you can cancel it altogether and avoid the hassle of having to mail the item back yourself.